Officer Ronald Reinhart Jr. staged a robbery two weeks ago in Lower Paxton Township and planted evidence against another person. Police attempted to serve Officer Ronald Reinhart Jr. an arrest warrant stemming to a recent staged robbery in Upper Allen Township, according to police. Officer Ronald Reinhart Jr. stole jewelry from the 600 block of Park Ridge Drive, said Upper Allen Township Police Chief James Adams. Police later found the jewelry in a home on Devonshire Heights Road in Lower Paxton Township, Adams said. An investigation linked Reinhart to the staging of the robbery. 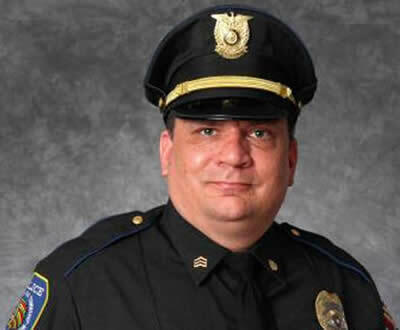 Officer Ronald Reinhart Jr., 41, took his life during a standoff with police, who tried to serve him with an arrest warrant on Monday afternoon. A neighbor, Jason Shaffer, said officers were announcing the resident’s name over a loud speaker. Officer Ronald Reinhart, who police confirmed was a member of the Susquehanna Township Police Department, killed himself at his home in the 100 block of Martel Circle at 12:42 p.m..